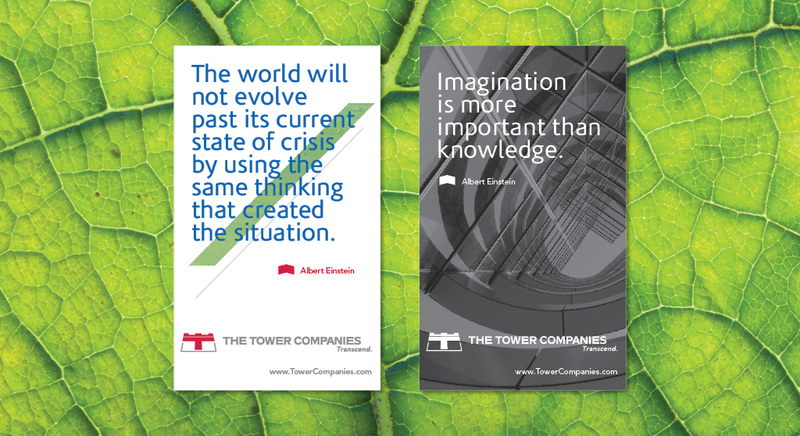 It had been 10 years since the Tower Companies — a residential and commercial real estate developer — had evaluated its branding, and the company was ready to evolve to the next level. 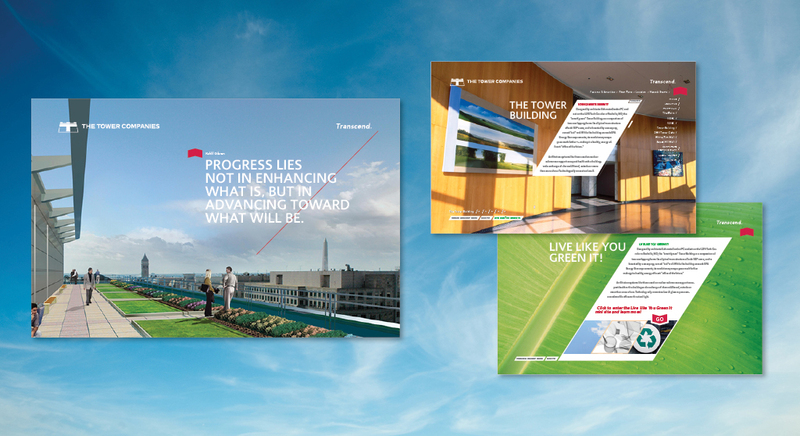 Existing marketing materials and messaging did not reflect where the company had grown over the years. The company had a passion for Vedic architecture, transcendental meditation, sustainable development, and proven methodologies for maximizing human health through the office environment. 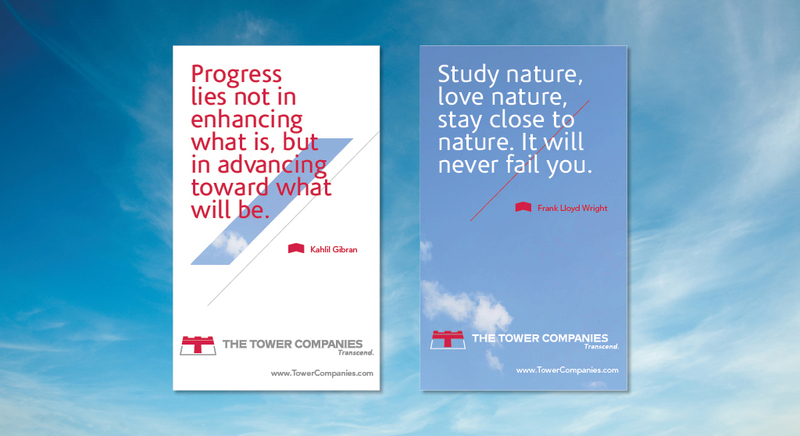 Our team positioned The Tower Companies with a new tag line that simply stated one word: Transcend. In addition to tagline, we developed a refreshed mission and vision and as well as an evolved logo and corporate communications materials that communicated not only how the company had grown throughout the past 10 years but also where it was going in the future. 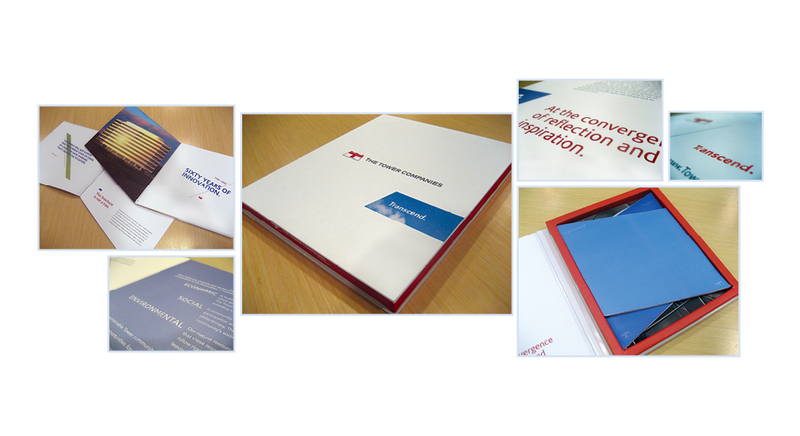 A complete B2B advertising campaign, our work also included all collateral development and a new corporate website. Making this investment allowed the company to attract more tenants to its office environments and attract partners who shared the same mission and vision to protect both the environment and human health.